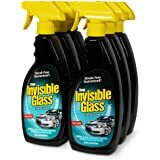 Invisible Glass is one of the best automotive glass cleaning brand trusted by professional detailers for it's remarkable 'invisible' clarity. 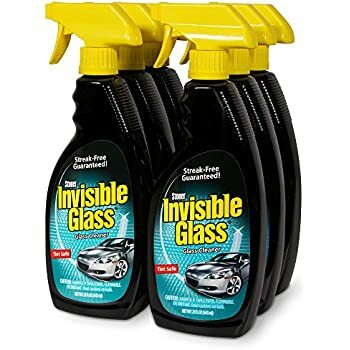 Only Invisible Glass has the residue free Clear Dry Formula free from soaps, scents, dyes, and other additives that leave behind residues and cause streaks. 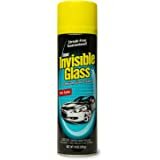 Invisible Glass contains no active ammonia and is safe to use on most automotive after-market window tints in good condition. 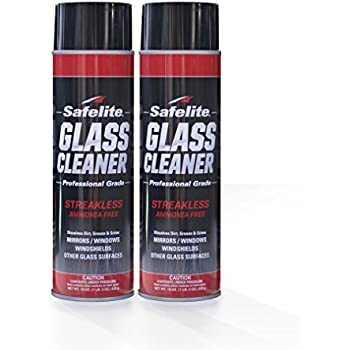 Easily remove fingerprints, smudges, dirt, grease, and smoke haze on windows, windshields, and other glass, mirrored, and chrome surfaces. 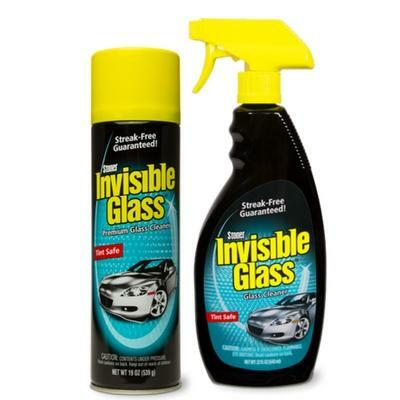 Free of soaps, scents, dyes, and other additives that leave residues on glass surfaces. 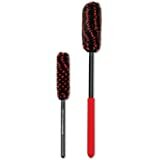 Residues form streaks and attract dust and grime. Clear Dry Formula evaporates quickly and completely for a streak free shine. 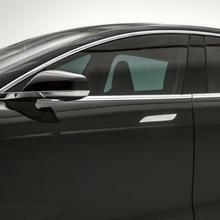 Safe on most automotive after-market window tints in good condition. We recommend testing a small area first. Clean windows in the shade or on a cloudy day. 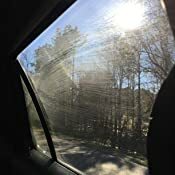 Direct sunlight can heat up windows causing the glass cleaner to dry too quickly. 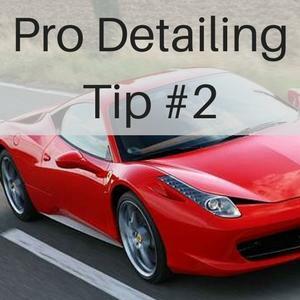 For best results use a clean microfiber cloth or low-lint cloth. Paper towel can contain cleaners and residues that can cause streaking or haze. 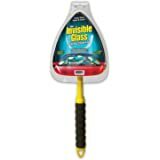 Look for the Invisible Glass Reach & Clean Tool for a fast, easy solution to cleaning low-sloping windshields and tall windows. Avoid using a circular motion when wiping glass clean. This can cause a static charge attracting dust. Clean one side of glass using an up-and-down pattern and the other side with a side-to-side pattern. This will allow you to easily see areas that may be have been missed. 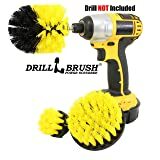 Completely wipe surface dry. Allowing glass to air dry will result in streaking. 1.0 out of 5 starsMaybe mine was defective? Streaks everywhere. First off, this bottle came to me broken, with it leaking a bit in the box. At first, I didn't think the top was broken, just figured it had to do with the trigger being squeezed and some liquid came out. I only assumed that because when I took off all the excessive tape, it wasn't leaking anywhere. So when I finally went to use it on my car (Needed some warm weather to detail it) the trigger wouldn't work, it just drained the liquid down my hand. So no big deal, I switched the liquid into a spray bottle and used it. It seemed to be okay, until the sun hit the windows and I noticed all the streaks over the windows. 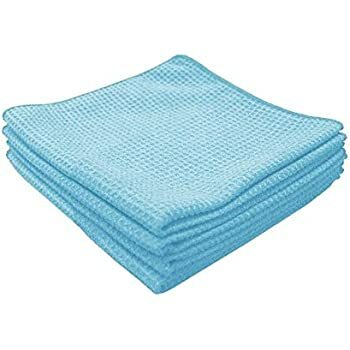 So I tried it again and it got a little better but the streaks are still there, I used brand new microfiber cloths with this as well, so I know it wasn't due to anything contaminating the product. I am assuming this is just a defective bottle, as it has quite a few good reviews from people. 5.0 out of 5 starsUnbelievable! 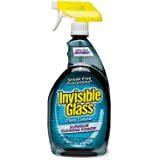 This is the best glass cleaner I've ever used, by a wide margin. It lives up to it's name and makes the glass invisible. 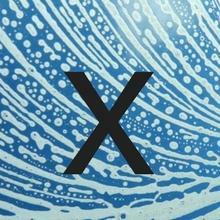 Used it first for my car windows, which chronically fog on the inside. they've never been this clean since the car was new. I have an old house with old windows, and over the years they have appeared to become a little foggy, never really clean, no matter what I do. Now it's like being outdoors, looking though them! If anybody's wondering this is NOT a planted review. 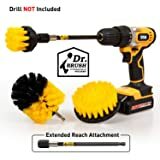 I have no interest in the product except to buy more when I need it. It really is just this good! 5.0 out of 5 starsCar windsheild. 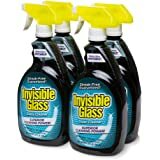 This is being serious when saying invisible glass! 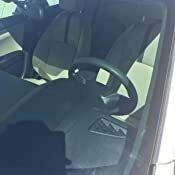 I hate cleaning the inside of my windshield because no matter what cleaner I use it always leaves little streaks which are so irritating when driving at night with all the lights. I tried this out a few days ago because lets be honest my windshield hadn't been cleaned in a REALLY long time I cleaned it and was so impressed sprayed a few sprays of this and used a paper towel and no streaks AT ALL, My windshield is now very clean almost invisible haha! 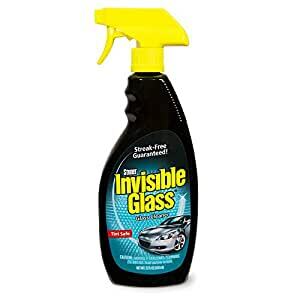 I also used it on my inside windows and it really does wonders cleans everything so nicely!!! 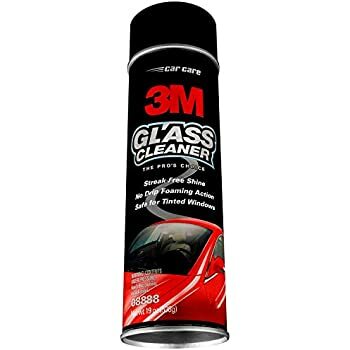 Would recommend this glass cleaner for cars or household! 5.0 out of 5 starsI like it cause it just works ! I've been using this for years and buying it at auto parts stores along the way when I travel. I take a lot of pictures and video as we travel (and we travel a lot) so it's not uncommon for me to stop just to clean the windshield 3 or 4 times a day. This stuff just works ... cleans bugs and dirt pretty easily and doesn't streak under normal circumstances. If it's very hot out (100 degrees or higher let's say) and the windshield itself is very hot, it will evaporate if you don't soak it and this can leave streaks. If it's very cold out side, it takes quite a while for the cloth to absorb the liquid as you buff the window. However, under "non-extreme" cases, it works beautifully and I never hesitate to buy it before my current bottle is depleted. 5.0 out of 5 starsMultiple reorders.....The label says it all. 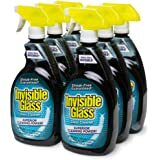 This is our second order for Invisible Glass. 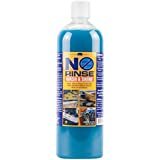 My wife and I originally ordered it after reading reviews on an auto detailing website. 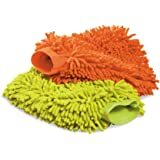 We use it with a large high quality microfiber drying towel (Viking - also from Amazon).. Used together, they far exceed to cleaning ability of the most frequently seen window cleaner. 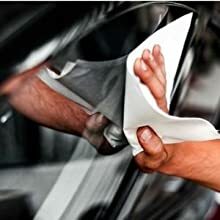 It does an excellent job of removing dog nose prints from plate glass doors; soap film from bathroom mirrors and shower doors; haze from the inside of car windows, etc. There has never been a problem with streaking. My wife and I have tried it with paper towels and newspaper . 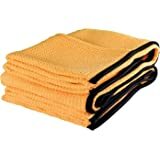 Hands down, a microfiber towel works best. Yes, the initial cost of both products will set you back a little.. 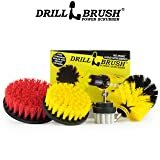 Unless you just love to spend time cleaning glass with the constant frustration of streaking, get this combination! 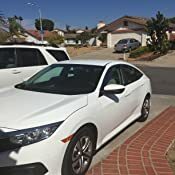 I had my car waxed and now the greasy wax on the windshield would get really hazy and there would be these weird smoke streaks when I would use the windshield wipers in the rain. My car never used to do this but I used everything I could to get rid of that. 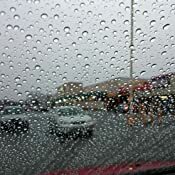 it can be very dangerous to drive in the rain at night, as the lights from the other cars plus the streaky windshield makes it much harder to see. So long story short, I bought this stuff, tried it out, I did 2 very heavy coats and wiped it off with a microfiber towel. I can tell you that my windshield is clear and good as new. 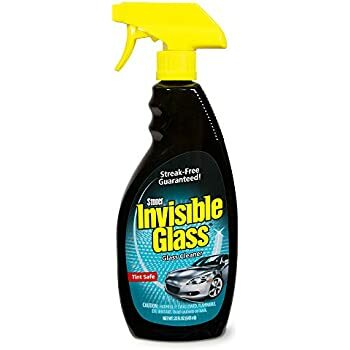 This product is better than windex and all that other crap out there. 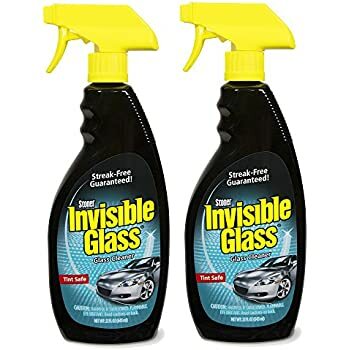 Truly invisible glass. Best glass cleaner ever. 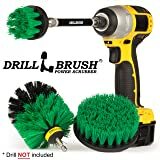 It was only when I gave the job of cleaning my french doors leading to the backyard to my 16 yr old son that I realized how well this product worked. Boys especially teenage boys put in little effort to get most jobs done. Knowing this I was expecting to have him do them over again after inspecting. But to my surprise, they were clean and streak free. 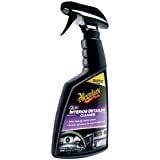 I used it for my car, it adds a thin oily film that repells the water. Thus, rain drops quickly roll off and the wiper has an easy job to ensure a good sight.